By Roger V. Ohanesian, M.D. 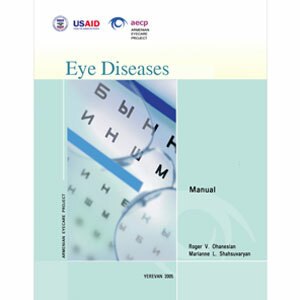 “Eye Diseases” manual was designed as a practical textbook summarizing the most important ophthalmic problems, facts and eye examinations. It helps the reader to manage clinical problems with greater confidence and success. Practicing as a Primary Health Care worker it is not possible to escape the patients with eye problems. 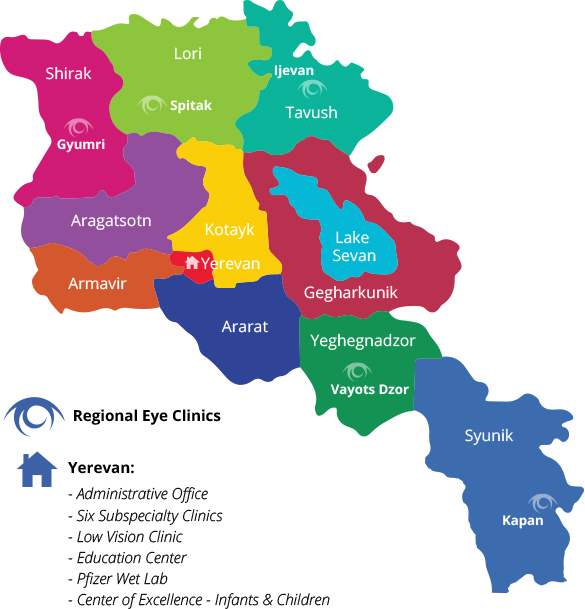 The purpose of this manual is to delineate the distinctive and the collaborative roles of Primary Health Care workers and Ophthalmologists in Eye Care, and to help collect ocular history, perform eye examination, diagnose, treat or refer patients with ocular disorders. Several special features are intended to enhance manual’s value as a ready reference on your office bookshelf: Step-by-step instructions of the most important clinical procedures that simplify screening and treatment. Detailed algorithms that discuss specific diagnosis and examination methods. Tables that highlight differential clinical diagnosis and management. Color photographs of main ocular entities. The glossary for fruitful cooperation between ophthalmologist and family doctor.